Each vote will cost you $10. Let’s try to get Our members to be the top vote getters. Remember: 504Kilts.com/ one of our members. 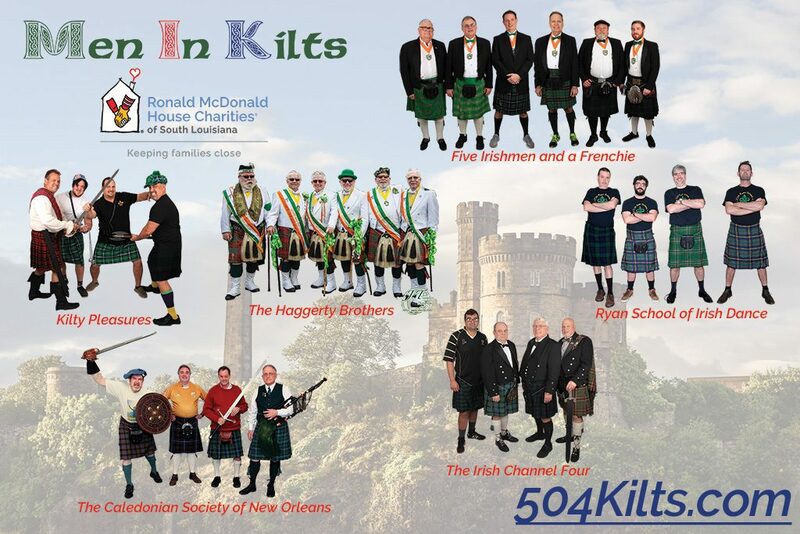 Men in Kilts is a fun and meaningful charitable fundraising campaign to generate support for Ronald McDonald House Charities of South Louisiana and the pediatric patient families we serve. Each of our benevolent Kilters has launched a fundraising campaign ‘competition’ to be crowned the King of the Kilts. Each vote is $10, with seven votes sponsoring an entire week of housing for a family at the Ronald McDonald House. Chose your team and select the number of votes you wish to cast. Voting ends on May 11, when we Crown the King and enjoy food and drinks from our sponsors Dat Dog and Crown and Crescent Distributing! 1) Crowning event will be held on May 11, 2019, 6:00pm-9:00pm, at the Conference Center at Children’s Hospital. Feel free to invite all of your supporters. We will have food, drink, music and fun (no charge).